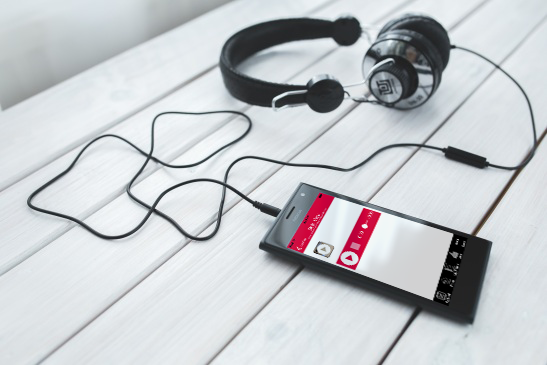 Business apps built on Snappii platform can now take advantage of the audio and video capabilities. Snappii, a cloud based platform for rapid mobile app creation enables business people to design, develop, and deploy enterprise grade feature-rich and secure business apps in weeks versus months if hiring a developer to code app from scratch. Today Snappii has announced that the platform has been enhanced with Audio and Video recording capabilities. These new features allow Snappii customers to significantly improve their apps and simplify the process of data collection. Snappii has added a powerful ability to record audio and video files on the go, save them in reports and share in many ways. App users can now take audio and video notes in any data collection process. Use case: Fire inspector wants to add notes about the fire hydrant condition, but it’s difficult to capture several photos, so a video can be used instead. Use case: A student at a campus wants to report a crime, and uses audio/video recording to send the witnessed to the police. Use case: A field worker wants to input notes in the field, voice recording helps speed the process of data collection, and video recording will prove the statements. Use case: A company can collect customers’ feedback recording the surveys. Together with the ability to record audio and video, app users can play these. The files are stored on the Snappii Cloud and can be shared in multiple ways. The new features work on both iOS and Android devices. Using Snappii stakeholders can design and build feature-rich enterprise grade mobile apps once and deploy across all major mobile platforms including iOS and Android. In addition, since the platform does not require any mobile developer skills to get started, programmers and non-programmers alike can deliver robust native apps quickly and easily, saving time and money. The Snappii platform also provides easy to use application management and integration services. Snappii has now been available for 4 years and is a mature app development and management platform. It has been used to create thousands of business apps by companies of all sizes starting from Fortune 1,000 companies to small corporations alike. “At this point Snappii can be used to create practically any business app of any complexity. No other codeless platform has the features and flexibility to create sophisticated business apps. It is a real alternative to hiring mobile app programmers”, said Alex Bakman, Snappii President and Owner. Since 2010 Snappii has incorporated a huge amount of platform improvements and their number is constantly growing due to extensive development work and customer oriented approach. Audio and video support release will no doubt be followed with other great features, allowing Snappii users to create really functional, powerful, custom looking, and professional mobile apps. Snappii apps run stable on all iOS and Android devices keeping up with the latest versions. Snappii is committed to continue improvement in functionality for building enterprise grade mobile apps. Snappii offers customer a choice between a DIY service, ready-made app customization and a full service app development. Snappii has 80+ live business apps in 30 industries available for download for free on Apple and Google Play stores and this number keeps growing. All are welcome to try Snappii at no cost at www.Snappii.com. Snappii is a unique mobile solution for businesses that offers both: a platform to create mobile business apps without programming in days, not months, and a wide selection of ready-made industry specific and general apps that can be downloaded from Apple and Google Play store at no cost. Over 20, 000 apps have already been built on Snappii, with customers range from the largest companies to medium and small organizations. Learn more at www.Snappii.com. This entry was posted in Press releases by Alex Bakman.